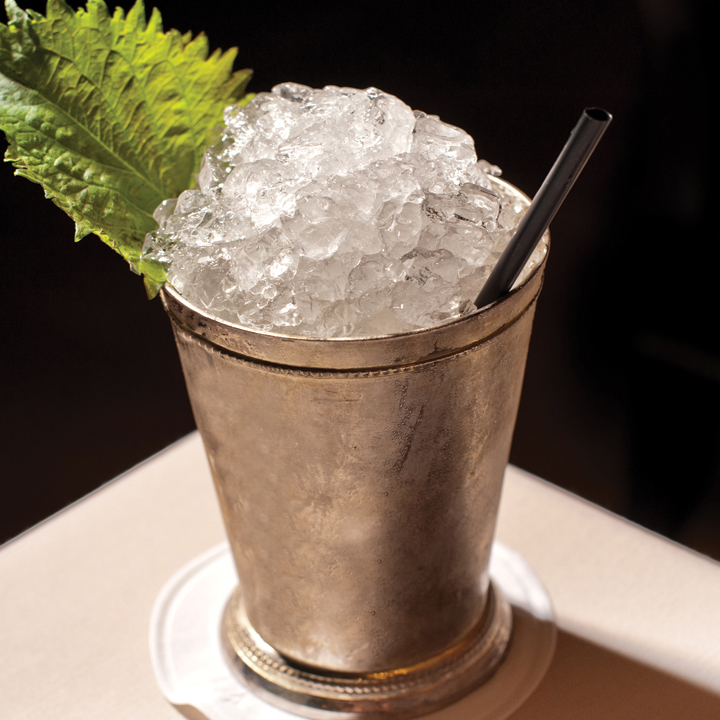 Most everyone loves a good pun, and bartenders and restaurant workers have become famous for naming their libations in a cheeky fashion. Sometimes only the most discerning imbiber will appreciate a particularly clever turn of phrase. But it can be a hoot catching a reference with a sip and a “aha!” These are a dozen of the punniest-named cocktails from coast to coast. What’s In It? This punch sounds almost as good as the cereal that inspired it. 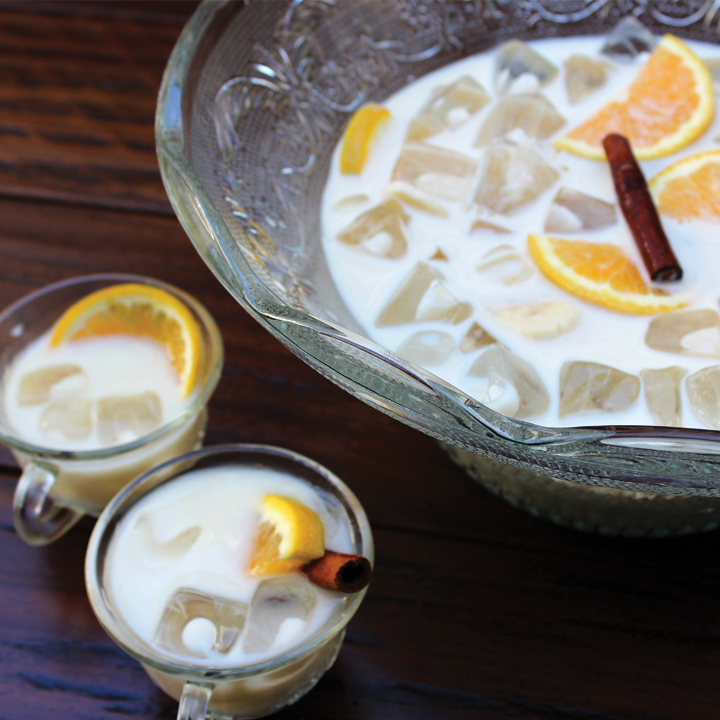 Made with Avuá Amburana cachaça, whole milk, Lustau Amontillado sherry, Meletti Amaro and banana puree, the ingredients are stirred up and poured into a punch bowl and served with shaved cinnamon. What’s In It? 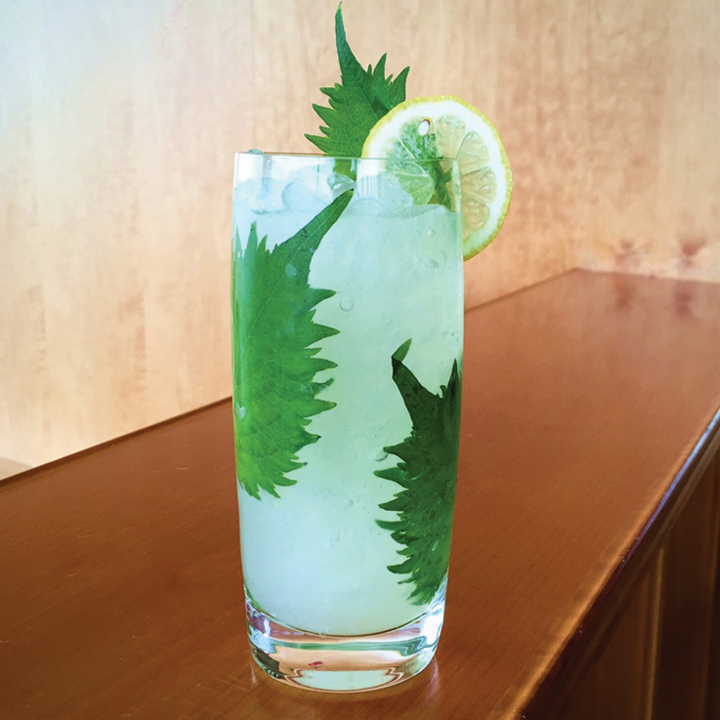 Created by Gates Otsuji, this pretty (and aptly named) cocktail is made with Tanqueray, lemon, shiso leaf and seltzer. What’s In It? The cocktail is first infused with Banfi grappa, then pressed and reinfused with Susana Balbo late harvest Torrontés grapes. 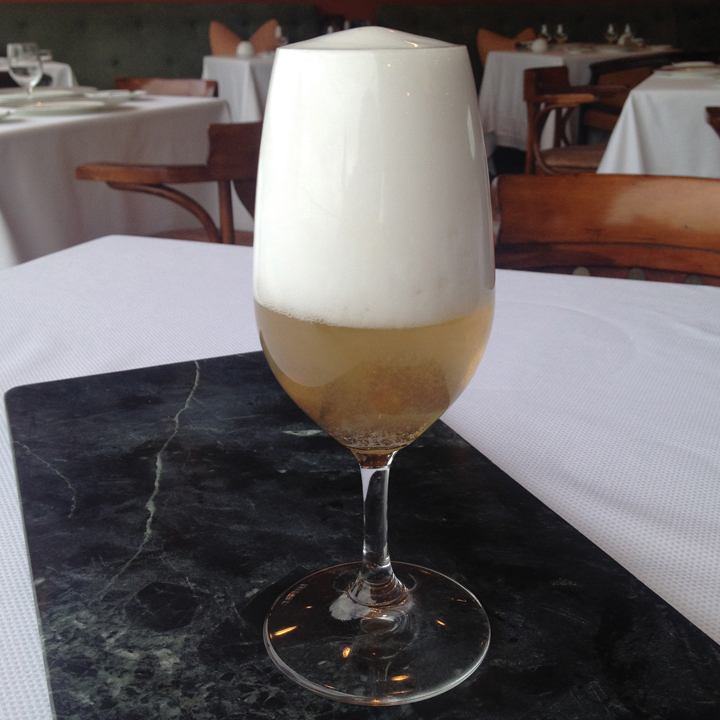 The grapes are then pressed again and infused a third time with a blend of grappa, torrontes and Chardonnay and topped with Champagne foam. Manager Stephen Thomas says the grapes in the drink have quite a journey into the glass, hence the name. What’s In It? Like the drink it’s named for, this is a cocktail is of few ingredients—just soju, ginger and shiso. What’s In It? 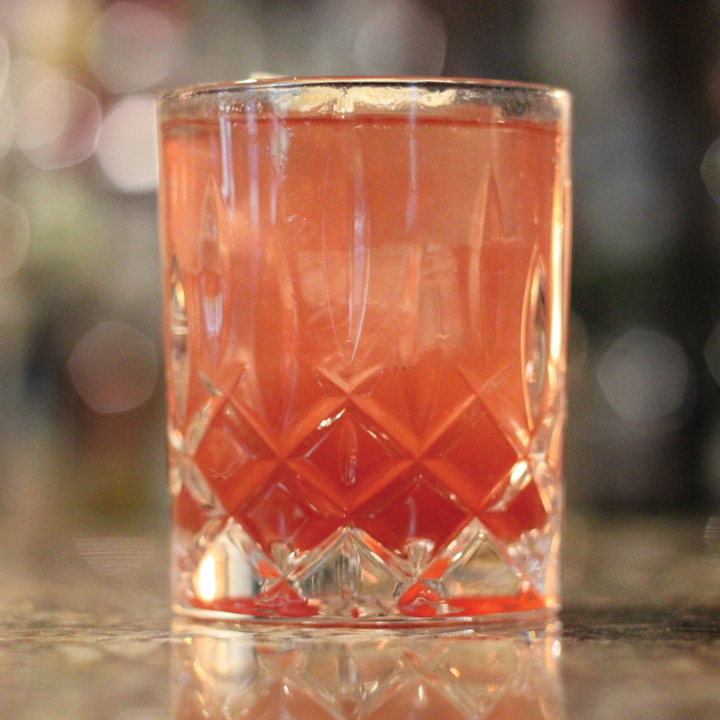 Made with Nolet’s Gin, house-made raspberry shrub, and Fever Tree Mediterranean tonic to fill, the drink is served over ice in a rocks glass and garnished with white chocolate shavings. Both the berries and white chocolate are a tribute to the late, great soul singer. What’s In It? Thyme is of the essence—literally—in this vodka-based libation that comprises thyme-infused vodka, fresh cantaloupe, fresh lemon juice and agave syrup. What’s In It? 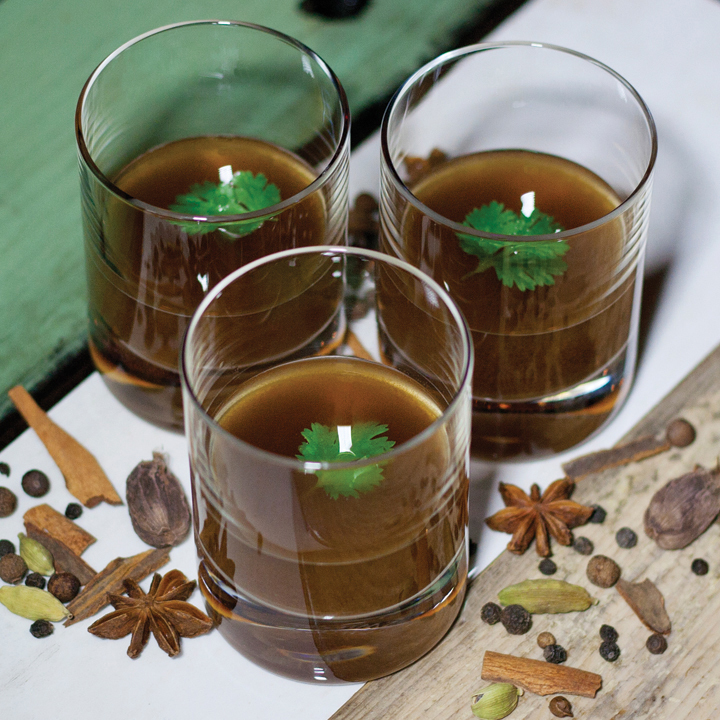 Beef is the base of this shot made with wheat vodka, Oloroso sherry and aromatized beef stock, which is served chilled and garnished with a cilantro leaf. What’s In It? This “nasty” (get it, Janet?) 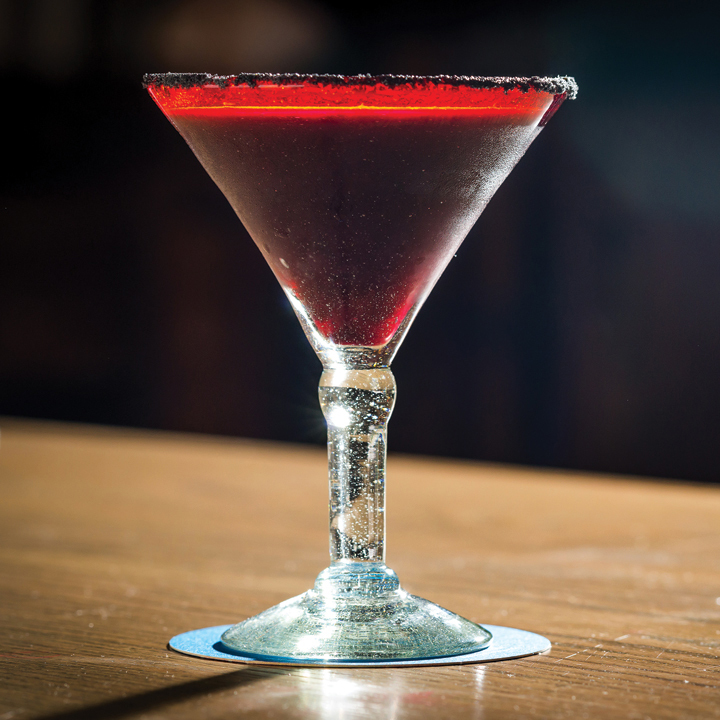 drink is made with blanco tequila, fresh beet juice, ginger, Worcestershire sauce, chipotle and a black lava sea salt rim. What’s In It? 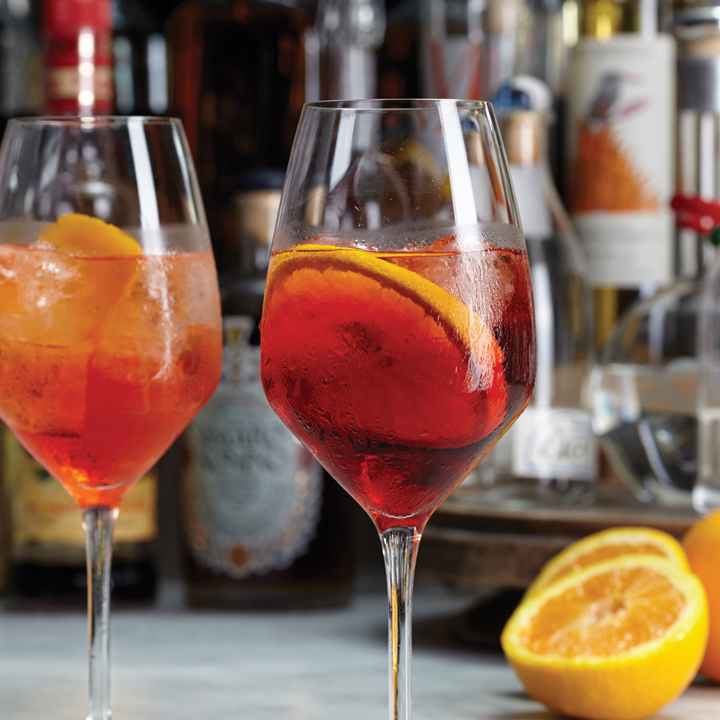 Made with Martin Miller’s Gin, Aperol, lemonade and seltzer, and served over ice, this recipe was developed by the restaurant's owners—perhaps after a night of too much of the Italian aperitif. What’s In It? 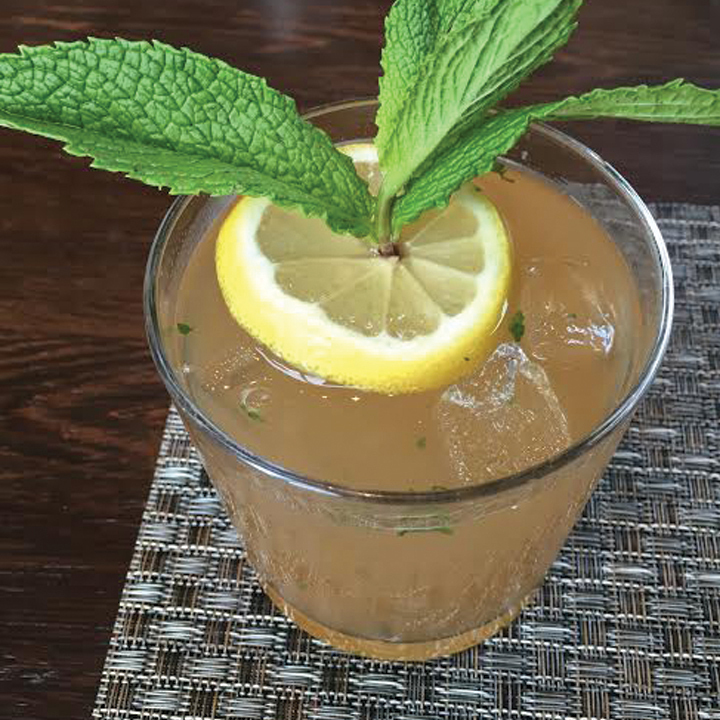 Laird’s Apple Brandy is the base of this summery drink along with, yes, fresh mint, house-made falernum and lemon. What’s In It? 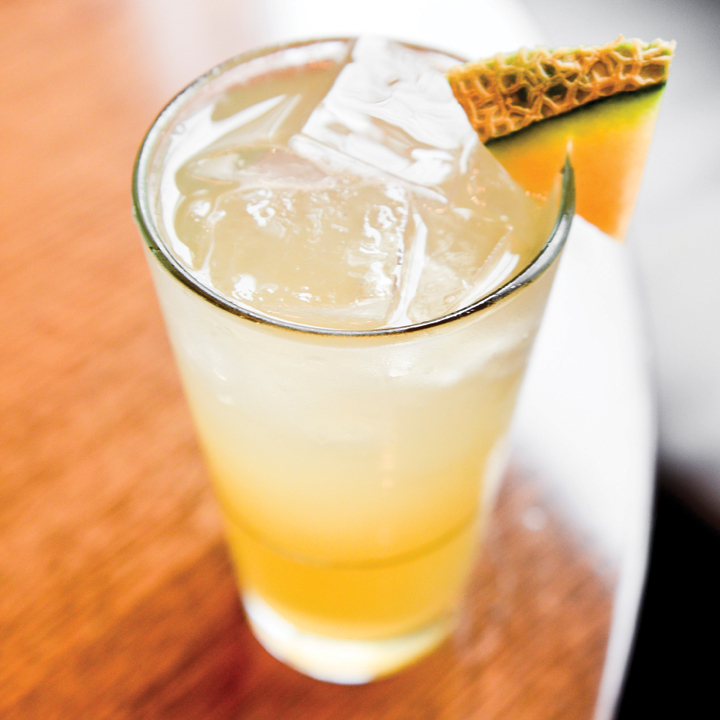 This tiki-like rum sour starts with Scarlet Ibis Rum, plus Pierre Ferrand Dry Curaçao, house-made falernum syrup, lime juice and house-made whey. 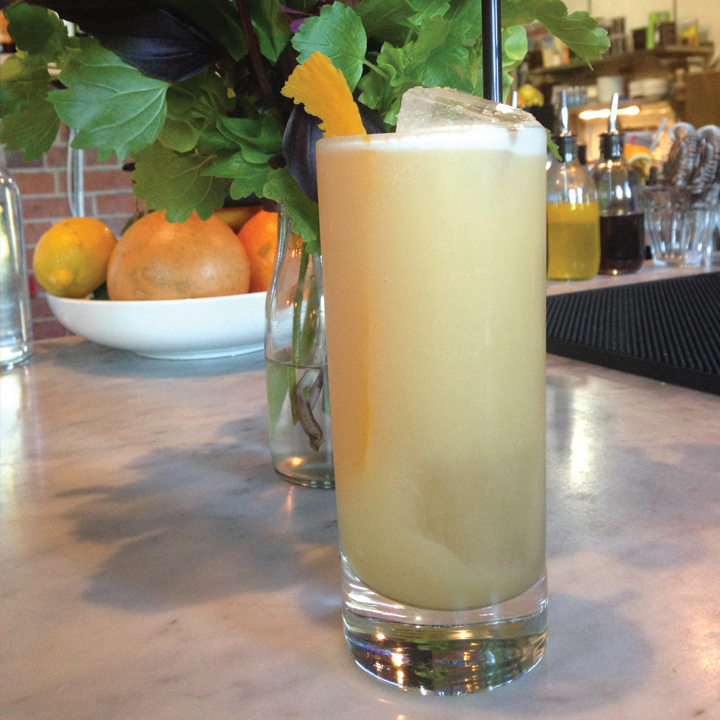 The drink is served over ice in a Collins glass with an orange peel garnish. We think George Harrison would approve. What’s In It? 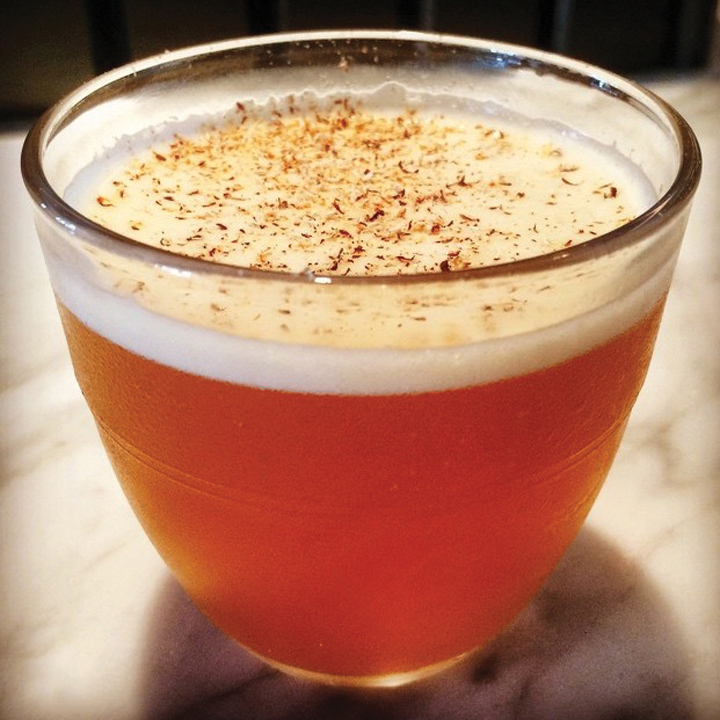 This refreshing yet sweet cocktail is made with Diplomatico Añejo Rum, pisco citrus shrub and coconut water, then shaken, strained and served in a large Duralex water glass with a nutmeg garnish.